Horses are interesting beasts. They are used for riding. Some are used for work like pulling carts, although becomming rare nowadays. And some are used for sports like horse racing. In history, one of the purpose for raising horses was for meat. Leather, of course, is a by-product of the meat production process. The resulting leather is very tough and durable. It is made into saddles and related accessories. 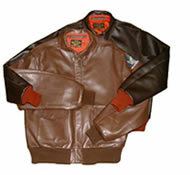 During World War II, horse leather were made into jackets for bomber pilots, later also found its way into the biker culture (leather jackets for motorcycle riders). The highest horse is a Percheron gelding, at the height of 1.8 meters ( 5.9 feet) and weighs 1,349.89 kilograms ( 2976 lbs). This was in Argentina in 1972. The heaviest horse is a Belgian Thoroughbred stallion weighs at 1440 kg. (3174 lbs). His owner was Ralph Fogleman, Callender, Iowa (USA). The oldest horse as recorded in the Guiness World Records is a cross between the Cleveland Bay and Eastern horse. This horse lived to the incredible age of 62! No. Wild horses are officially protected in the US. Horses can be found almost everywhere. The wild ones are found in the West of USA, Canada, Australia, and New Zealand. They are raised in horse ranches. No. Oh, but they can kick and bite and the kick is to be avoided. It is serious. An interesting fact about the horse kick. Sometimes the horse kicks when playing. Like when we play tag, you tag the person and say "You're It!". The same thing. One becomes a target when the horse is in a playful mood and you are, say daydreaming, or are not alert. 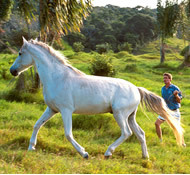 In cases like this, expert horse handlers advice is to always stay alert when you notice a horse in a playful mood. If they come near, wave them off. Nomally yes. When domesticated and cared, will overcome most of their fear. They can kick and they can bite. We do not have global statistics for injuries caused by horses directly. In the USA, there are 219 killed by horses. It tastes like beef (sirlion) but has a stronger smell. A horse is made to run. Okay, that was rather short. It likes to live in the wide open spaces, like the ranges, the grasslands and the plains. They are normally curious, very inquisitive. At the same time, they are easily excitable, say spirited creatures. When in the wild they roam in herds. A herd of horses will have a dominant adult male called the stallion. The female are called mares. The stallion chooses the places to eat grass and to drink. 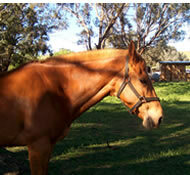 Horses eat grass, hay, oats, other vegetation. Hmmm, vegetarian would be a good description. Horses are raised in horse ranches. They are kept in stables, fed, and groomed. Yes, they have their "beauty routines", too (get brushed). They get regular health check ups with the vet ("Say doc, I got this thing ..."). They get regular excercise and their favorite activity is running (of course!). And whenever necessary, horses take vitamins, too! The skin is fleshed, then removed of dirt, blood, salt and excess fats. The hairs are then removed by soaking in the lime solution and removed by a dull knife (the process may be automated by a machine). Then the lime has to be reomved and it is ready for tanning. The tanning process may differ depending on the required end-product. Vegetable or natural tanning will produce stiff but flexible leathers suited for items such as luggages, furniture, leashes, etc. The compound used are usually organic and they contain tannin (as in "leather tanning"). Tannin comes from bark, leaves, wood and fruit of chestnut, oakwood trees, hemlock trees. Then there is mineral tanning which uses mineral compounds like chrome for example. The resulting skins will be soft and stretchier. They are used to produce items such as purses, bags, briefcases, shoes, gloves, etc. 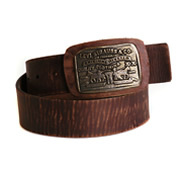 The leather has a light, beautiful grain.